The new Honda PCX 150 Sport will be marketed in dealerships starting in December. As its name indicates, it is a version with “sports” appeal of the Japanese brand’s entry-level scooter in the Brazilian market. The novelty can be acquired with a price of $ 11 thousand, the same charged by the DLX variant. In the rest, the scooter follows the same line as the other versions. The engine is a single-cylinder 152.9 cm³, OHC (Over Head Camshaft), four-stroke, liquid cooled, PGM-FI fuel injection (Programmed Fuel Injection), which can develop 13, 6 hp at 8,500 rpm and maximum torque of 1.41 an at 5,250 rpm. It is attached to the automatic type CVT. There is also the “Idling Stop System“, which interrupts the operation of the engine in a such as semaphore, and can reduce fuel consumption and emission of pollutants. Another feature is the CBS (Combined Brake System) system, which can distribute part of the force applied to the rear brake to the front, which increases safety, especially in emergency braking. The Honda PCX 150 Sport also features an under-seat compartment with the capacity to accommodate a helmet and other belongings and a holder in the front fairing, which can receive a cell phone or a wallet, for example, in addition to a 12V socket. 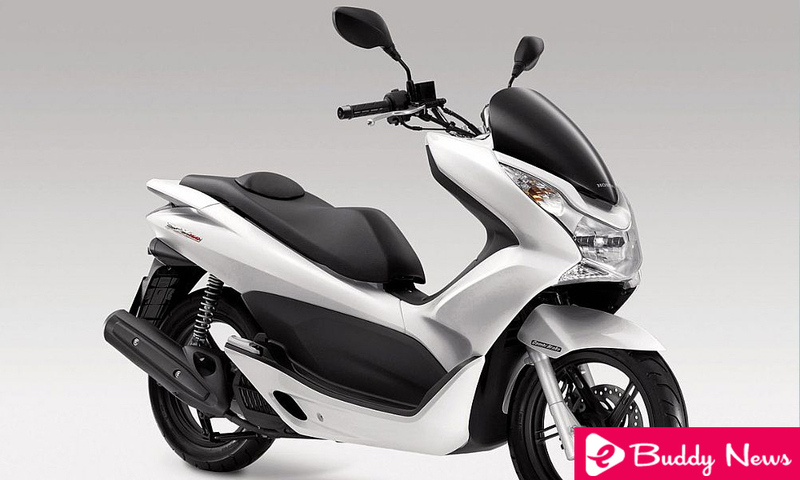 The Honda PCX 150 Sport has a three-year warranty with no mileage limit plus 7 free oil changes.